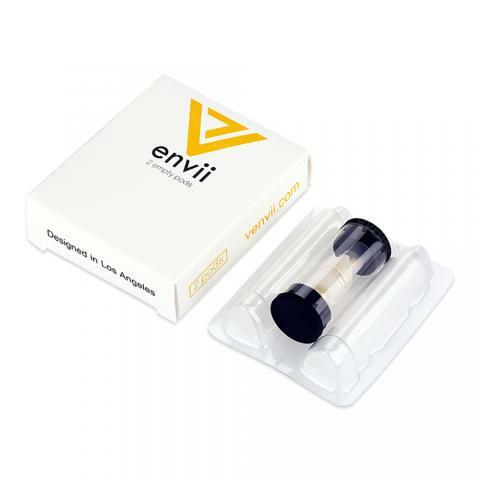 Envii FITT Cartridge is for Envii FITT Starter kit. It is an empty tank with optional 2ml and 3.2ml capacity. You can fill your own e-liquid with it. Get it as a spare part. The Empty Envii Cartridge is designed for FITT Kit. It's a refillable pod with optional 2ml and 3.2ml capacity. You can fill it with your own e-liquid. Buy it as spare part for your Envii FITT Kit. • It's for Envii FITT. • The cartridge is empty. No e-juice. Für Anfänger sehr zu empfehlen. Envii FITT Cartridge Empty ist gut. Liquids schmecken gut. Super Preis-Leistungsverhältnis. Design ist schön. Envii FITT Cartridge Empty has a moderate price but well-built quality.